YOGI MAHOUT is an educational elephant eco-tourism tour. A “MAHOUT” is an elephant trainer and keeper. As the name suggest, you will experience a day of the life of mahout and learn about their relationship with the elephants. 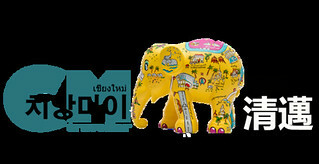 Yogi Mahout is managed by RSM Project Tour International Academy, located in the city center of Chiang Mai. The elephant camp is located at Mae Wang, which is a 90-minute driving distance from Chiang Mai city. The scenery to Mae Wang is fabulous along the way where you can enjoy the view of rice field of the countryside. Yogi Mahout is also an elephant trekking tour, where you will be riding an elephant trekking in the jungle and crossing river on the elephant’s back. This is the best way to get close to nature and enjoy the real beauty of the rain forest. Also, be prepare to get wet because you will be swimming and bathe with your elephant in the river. And finally, before heading back to your hotel in the city, enjoy a trip to Mae Wang waterfall and get refreshed in the cool water. Apart from the normal elephant trekking tour, you can also add Bamboo Rafting into your itinerary for a combo tour. Transportation to the elephant camp and waterfall (and back to your hotel), mineral water, lunch is provided, English speaking tour guide, tour insurance, and they also take photographs of you during the tour where you can download from their website (at no additional charge). Camera, swimming suit (you will get wet), strap sandal, sun protection, dry cloth for change, hat and mosquito repellent. Yogi Mahout offers Half Day, One Day, and Two Days One Night tours. It is better to book your tour with them at least one day before your desired date. How to book my tour and go there? Once confirmed, you will be informed about the time they will come to pick you up at your hostel/guesthouse. Remember to keep your receipt as the tour bus driver will want to check it before letting you on board. The different tour comes with a different price. Click here to read the tour brochures and travelers’ REVIEWS with complete details about the TOUR, PRICE and other essential information you need to know before going.